Posted in Activities, Announcements, Immigration - Asylum. 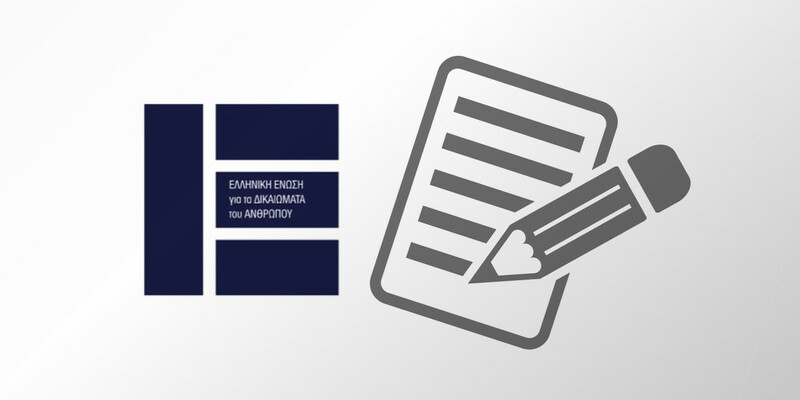 25 organizations submitted a joint letter-report with which they wish to inform the responsible Greek authorities of the ongoing problems that arise regarding the granting of AMKA (Social Security number), AFM (Tax Registration number) and unemployment cards to applicants of international protection, requesting their intervention to harmonize administrative practices with the applicable legislation. They also want to reintroduce the issue of the obvious need to extend all rights to applicants who are at the stage of pre-registration. According to Greek legislation, asylum seekers have the right of access to the Greek labour market and to hospital and health care. A prerequisite for the full realization of these rights is the possession of AMKA which many times employees from the Citizens’ Service Centre (KEP) do not provide even though the applicants meet the legal requirements. This refusal is accompanied by several excuses – most of the times unfortunately preemptive – which ultimately constitute a denial by the administration to apply existing legislation. Given that these are people who are in extremely difficult circumstances, the inability to satisfy their fundamental rights and the complete lack of access to health structures or work, does not only further exacerbates their physical, psychological and economic situation but also constitutes a straightforward Violation of existing legislation. According to Greek legislation an AFM number is provided to all natural, legal entities and associations of persons who have their residence or professional establishment or carry out transactions of tax interest within the Greek territory. According to a relevant ministerial decision on AFM provision, what is required is simply a relevant special form upon presentation of an identity card or passport, and, for foreigners, it is also required the provision of evidence that they are legally residing in Greece. As far as asylum-seekers are concerned, the ‘asylum applicant’s alien’ card issued by the Asylum Service constitutes proof that they reside legally in the country. Unfortunately, asylum seekers often face problems with tax office officials who do not issue AFMs, despite the fact that applicants meet the legal requirements. This refusal is accompanied by several excuses – most of the times unfortunately preemptive – which ultimately constitute a denial by the administration to apply existing legislation. In the context of good administration practices, there must finally be harmonization of administrative procedure and unimpeded application of the legal framework so as not to interfere with the enjoyment of the rights of those individuals. Employees from the signatory organizations have repeatedly stated that the above mentioned administrative problems in the provision of AMKA and AFM increase the difficulties for asylum seekers to register at OAED’s unemployment register. Therefore, we appeal to all Greek authorities and ask for their intervention in whatever manner you deem most appropriate in order for the administration to comply with and adhere to the principle of legality and ensure the unhindered provision of AMKA, AFM and unemployment card to all people who meet the legal requirements throughout the Greek territory. Lastly, the signatory organizations would like to point out that the right to work, as already mentioned above, is guaranteed by Greek legislation for applicants of international protection, only after completing “full registration” of their asylum application according to the existing provisions. However, de facto delays in the completion of the process of filing an application for international protection, results in the deprivation of those who are at that stage of their fundamental rights, making it necessary that the protective provisions extend their scope to include applicants who are also in the process of “pre-registration”. Finally, the signatory organizations emphasize that the integration of asylum seekers and refugees in our society, beyond legal obligations of the State, should also constitute a political priority, which apart from the formal requirements, provides the substantial conditions for the inclusion of the population in the social fabric of the country. Therefore, the need for a national action plan for integration, covering both formal (legislation and implementation) and the material conditions of integration (awareness and training of public officials, intercultural mediation and interpreting, access to information etc.) remains a fundamental demand of our organizations.